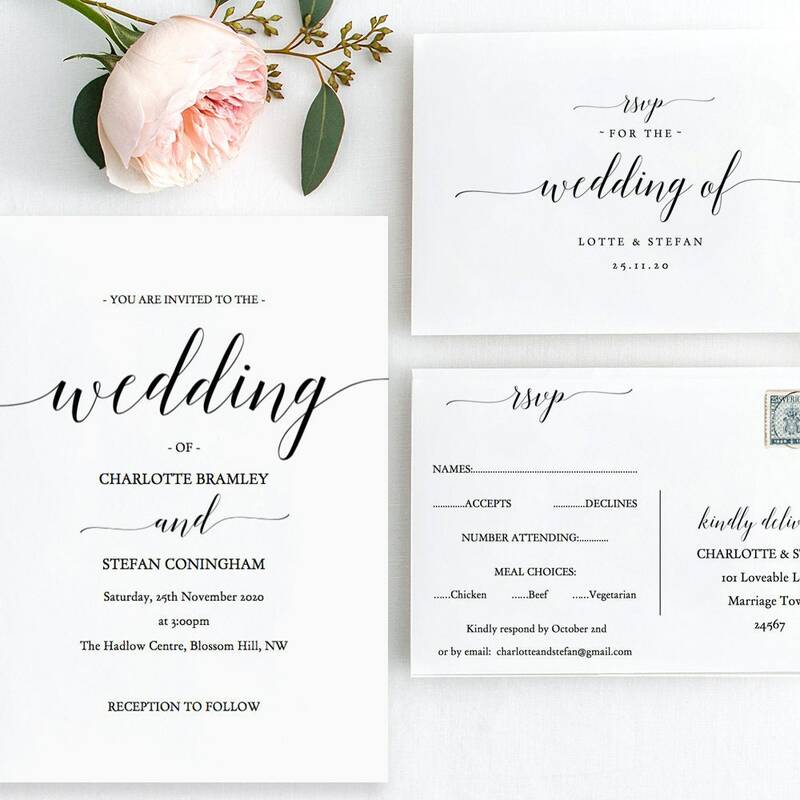 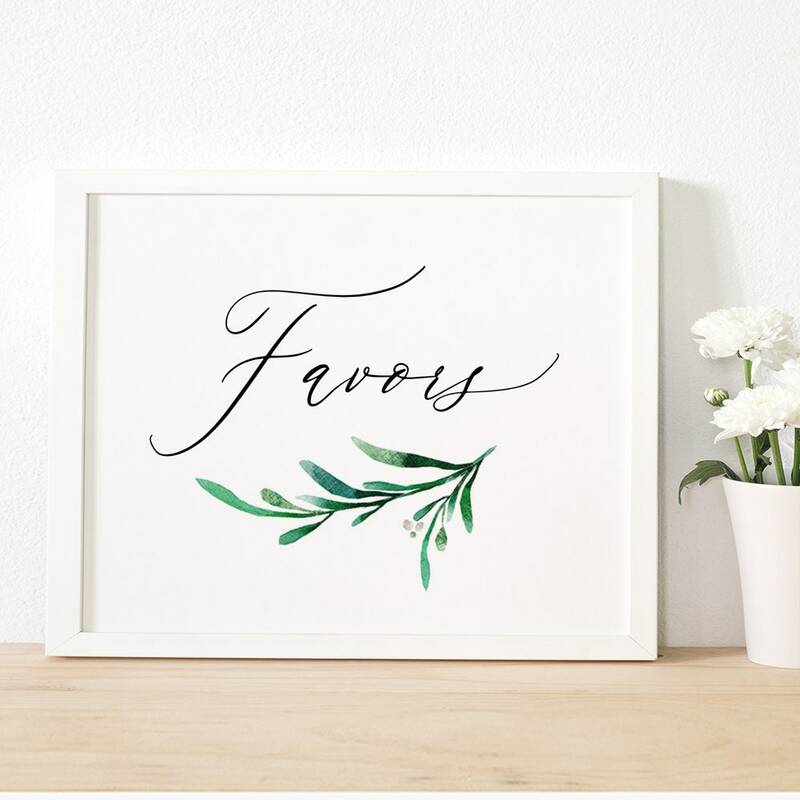 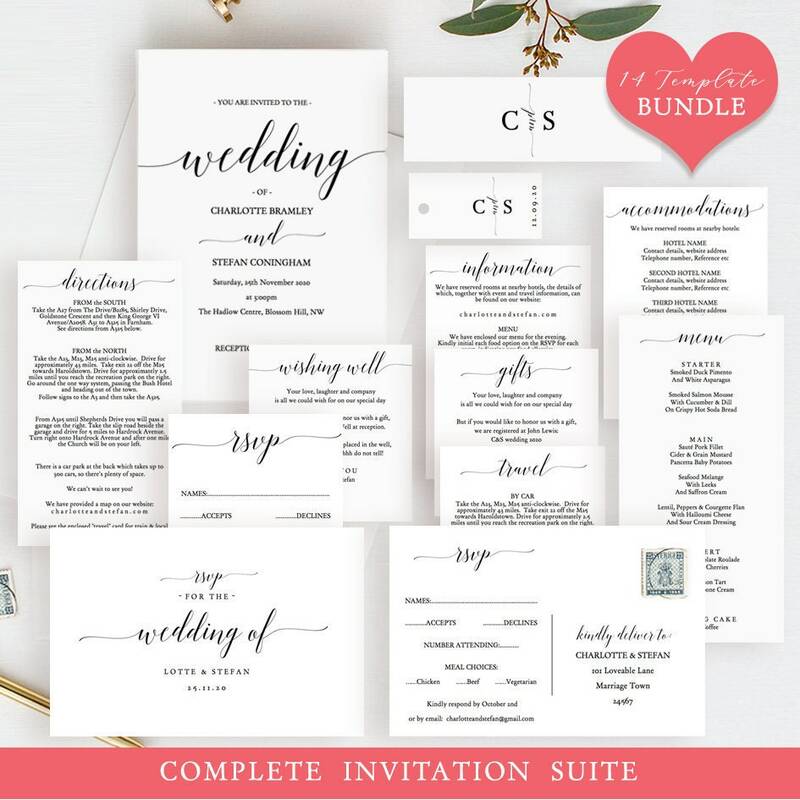 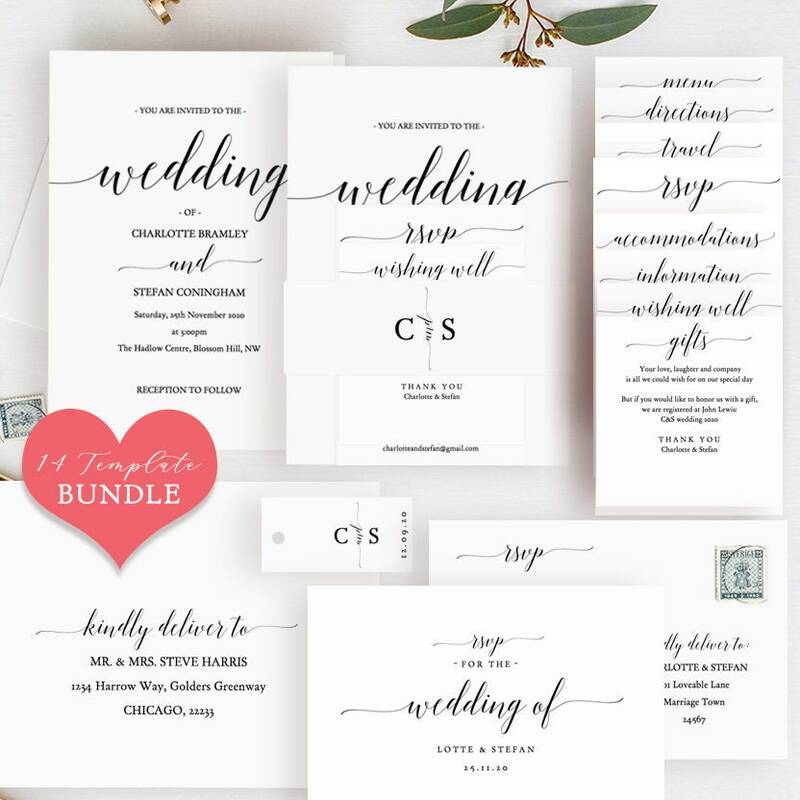 DIY Wedding Invitation Bundle, Printable Templates. 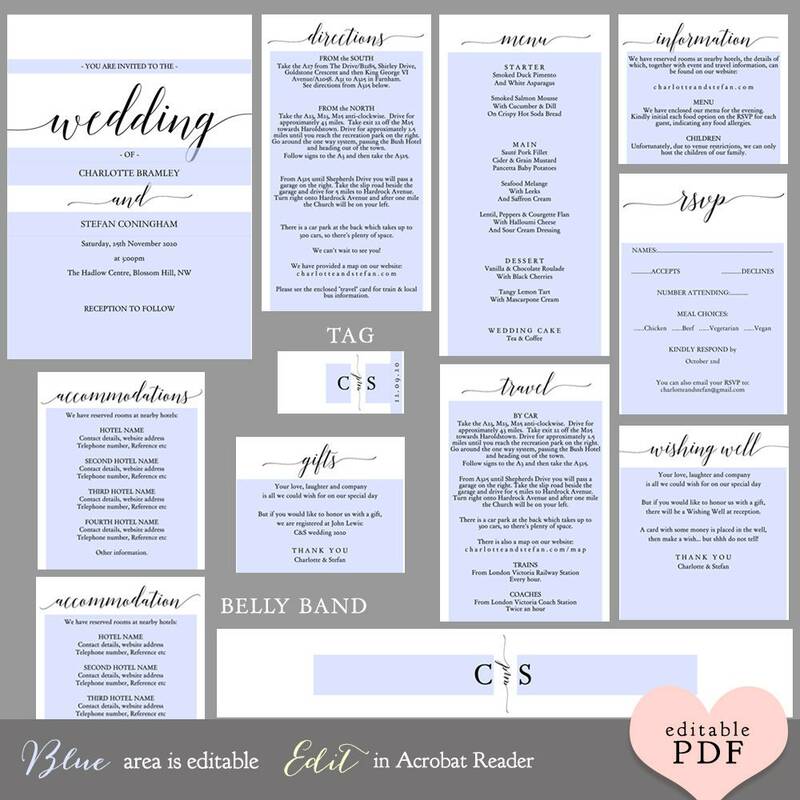 These templates can make wrapped invitation sets or pocket invitation sets. 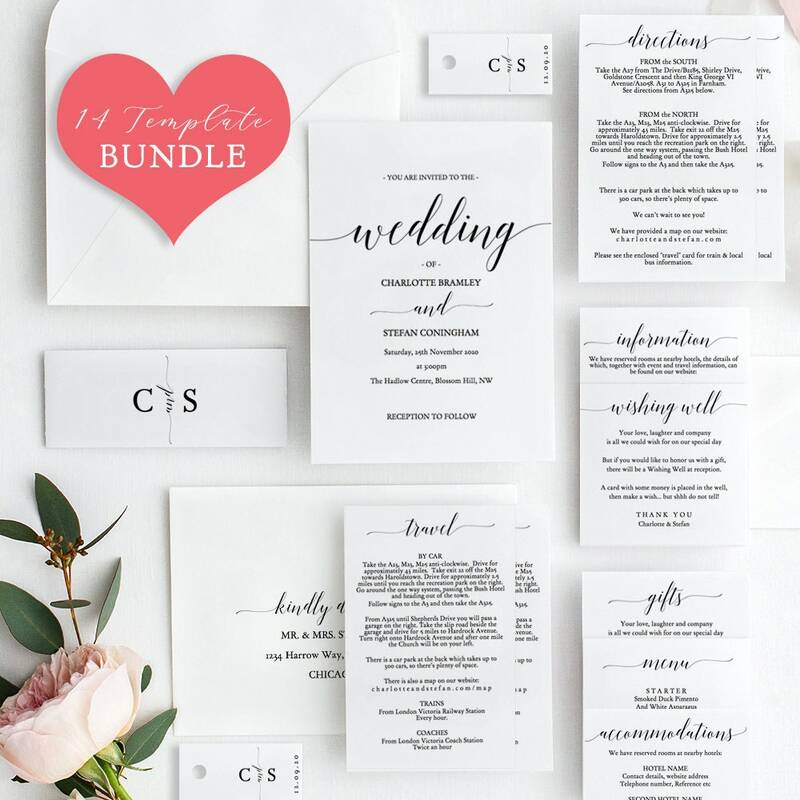 ❤ This listing is for the 14 template bundle. 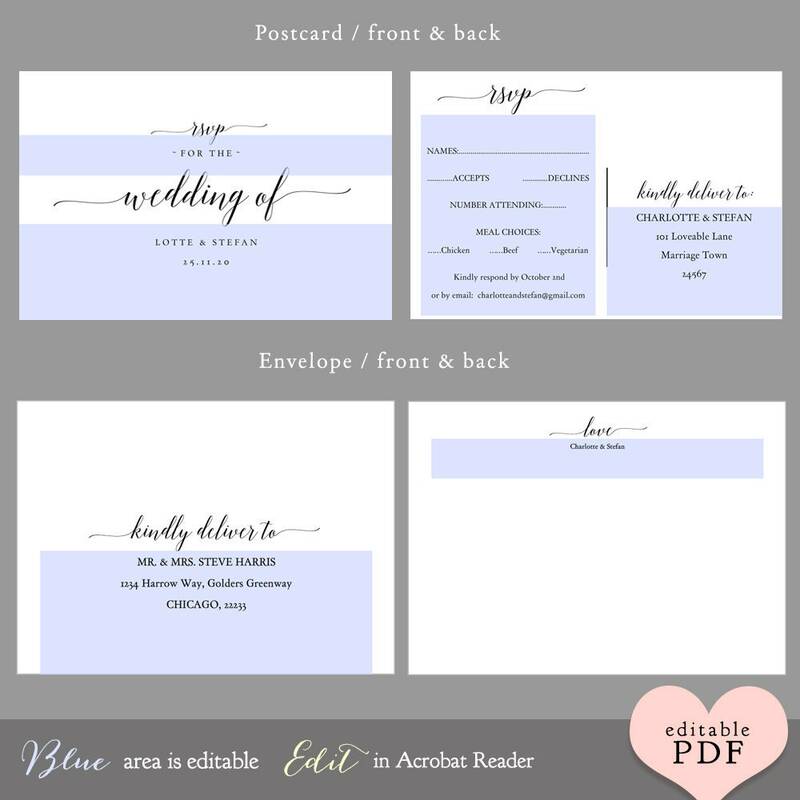 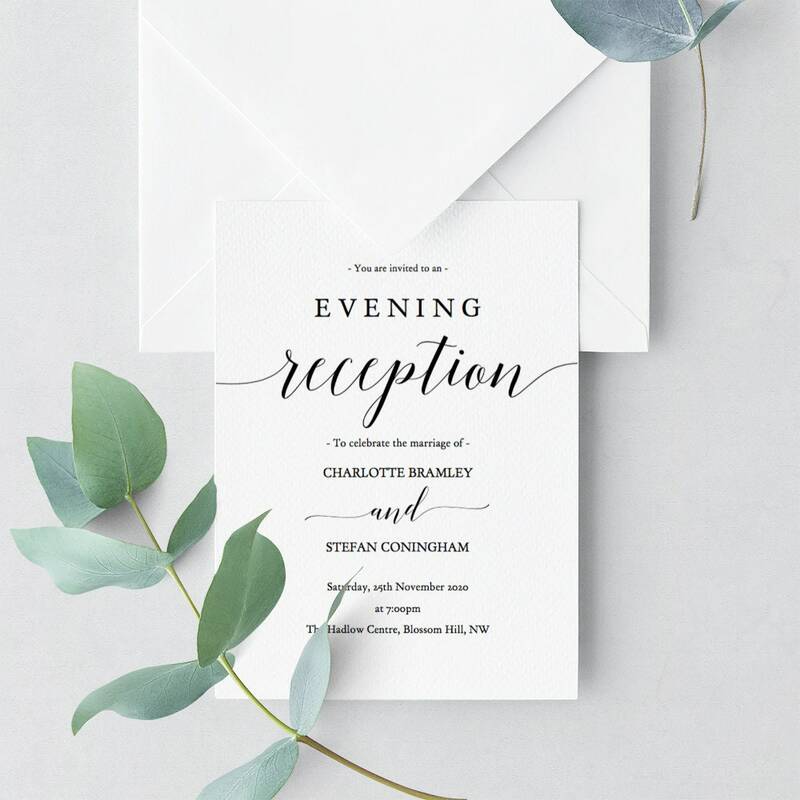 • 2 x Envelope templates, front/back (for invitation), 5.25x7.25"
• 2 x Postcard RSVP templates (front/back), 2 per page, 4x6"
• Other postcard template (add a pic! 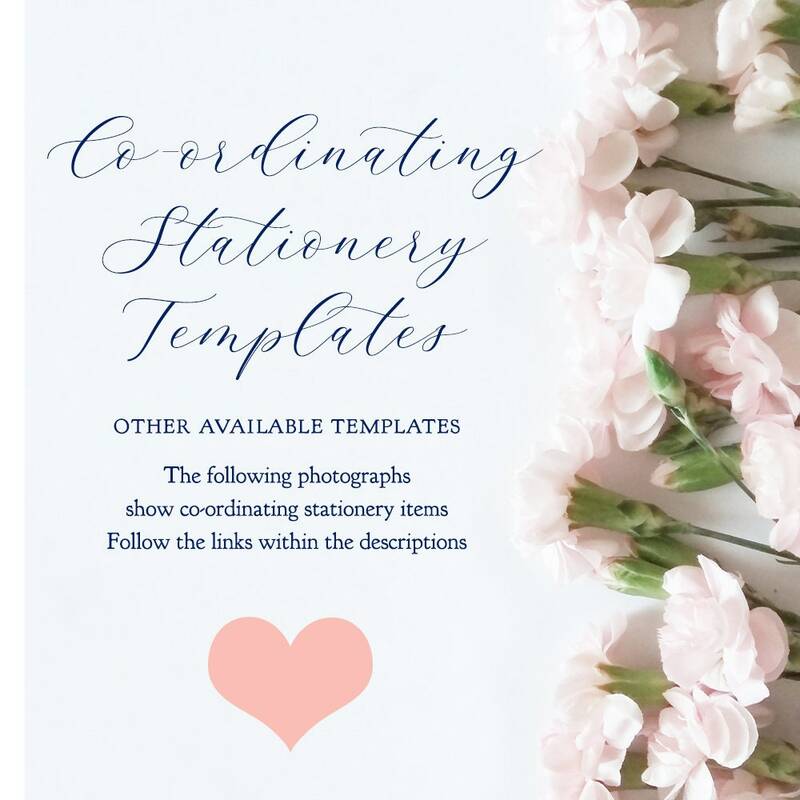 ), 2 per page, 4x6"